Indulge in a leisurely morning before your group transfer will take you to your luxury expedition ship, the m/v Sea Spirit. Spend the rest of the afternoon exploring your home-away-from-home which will ferry you across the Drake Passage and into the surreal landscapes of Antarctica. This evening, you'll set sail through the Beagle Channel, so named for the ship that charted the rugged southern coastline of South America in the early 19th century and on which Charles Darwin once sailed. We leave the Cape Horn and islands of Tierra del Fuego behind us, bound for the swirling convergence of the Atlantic, Pacific and Southern oceans, quite often referred to as the 'Drake Shake'. With no land in sight, we keep a keen eye out for some of the pelagic seabirds that venture far out into the ocean and enjoy briefings, orientations and lectures from experts providing insights into life on this untouched continent. Immerse yourself in the incomparably beautiful landscapes of the South Shetland Islands and Antarctic Peninsula. Your expedition cruise will journey through slushy straits dotted by luminous icebergs that glow cobalt and white like beacons in the deep blue ocean. Stretch your sea legs, embarking on Zodiac excursions to experience this wilderness first hand. Watch the sun glisten on the golden furs of seals lazing on ice floes, slide down snowy slopes and kayak through icy waters in search of whales, penguins and other species of bird that find sanctuary surrounded by gigantic cliffs of ice. Cruise past protected bays, glacial peaks and through narrow channels, weaving in and out this untouched island chain - a journey filled with "pinch me moments" no photo could ever capture. We leave the dramatic polar landscape behind, returning via Drake Passage to Ushuaia. Spend your days on board discovering further insights about the Antarctic during several informative presentations and workshops by experts and reminisce about the unforgettable experiences you've shared with new friends over a Farewell Dinner. 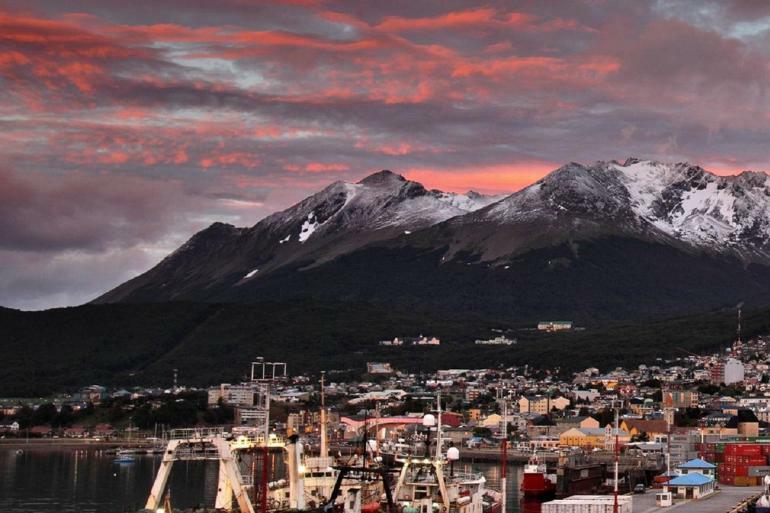 The spectacular sight of the snow-capped Martial Range signals our return to Ushuaia. After breakfast, we disembark and take a transfer to the airport or consider extending your stay in the city at the end of the world.